Or, to Mulleady’s Irish Pub on the edge of Magnolia. But I prefer the first title. 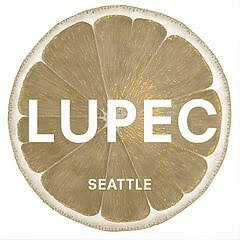 So, LUPEC Seattle Goes to Ireland, via Magnolia. For the March 2012 LUPEC Seattle meeting we went to Mulleady’s where owner Travis Stanley-Jones created some Irish Cocktails and Beer Cocktails for us. And punch, he created a lovely punch for us. Brian Lee was on hand to make cocktails as well, and he did it very ably! At this point in this post, I’d like to say that Irish Whiskey and I don’t have a very storied, long, or good history. I’ve only ever had one drink with it I enjoyed. So, I may have been hesitant to try the drinks that were created for the group. But, I’m one for trying things, so I had to do it! 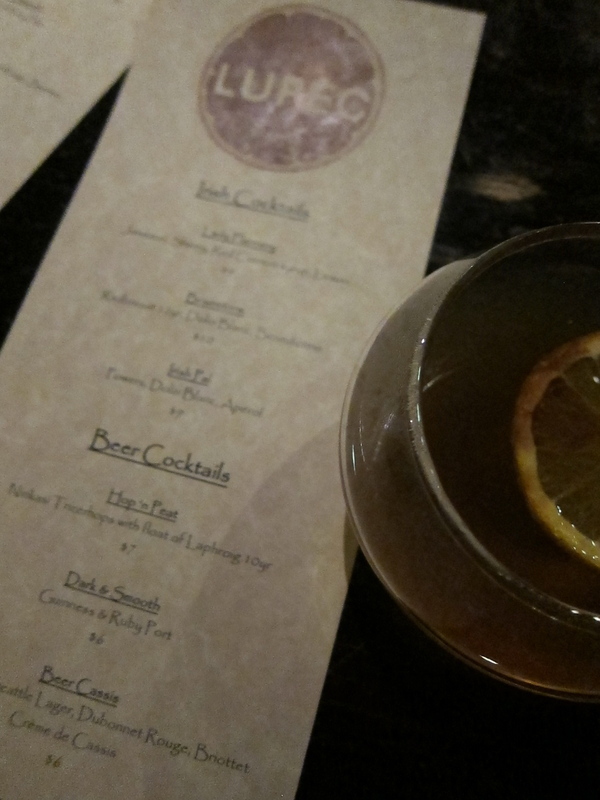 Back to the evening’s happenings… The punch was delicious and served warm – it was made with Redbreast 12yr, Demerera Sugar and Lemon & Orange Juices. The punch was very easy to drink – perhaps too easy? It was gone very shortly after the group arrived, and no one I spoke with could find a flaw with it. For a cool night, it was a deliciously warm yet dry drink. Not too tart or tangy, but it did allow the whiskey to come through. Travis made a beautiful garnish out of the LUPEC Seattle logo – a dried orange colored with bitters – to float on the top of the dainty punch glasses. For the cocktails, we had the choice of Lady Flannery, Brainstorm and an Irish Pal. The Lady Flannery would be a good drink for non-whiskey lovers, in that it was more on the sweet side, and gorgeous on top of it all! The Brainstorm had my favorite name and was a very well balanced drink with Redbreast 12yr, Dolin Blanc and Benedictine. It was a very smooth, spirit forward drink. The Irish Pal was a great ending drink and very mellow. For some reason, I decided to try one of the Beer Cocktails that Travis & Brian offered to us. I went with the Beer Cassis, which consisted of Maritime Old Seattle Lager, Dubonnet Rouge and Briottet Crème de Cassis. Perhaps it’s the local girl in me (Maritime is down the street from my house) that wanted the Maritime in my cocktail. The Crème de Cassis nicely offset the Lager, and while I don’t know much about Crème de Cassis, I have it on good authority that this kind is lovely. And hey – it’s fun to say! Briottet! Dubonnet Rouge is also quite fun to say. So, all around, it was a delicious beer cocktail and had some great names in it to boot! Travis was kind enough to offer us some great complimentary bites of Chicken Mousse on Endive, Champ Croquettes and Vegetable Crudite. If you missed out on the Champ Croquettes, you MISSED OUT. I might have to go back just for those. Travis gave us some information about Powers 12 year single pot still Irish Whiskey, but then proceeded to tell us that it’s not available in the states – I felt like that was him being a tease. All in all, anyone want to go to Ireland to find some? Mulleady’s offers trivia on Monday nights, and they have Trivial Pursuit cards available all the time, in case you need to add some questions to your life while you’re eating dinner. Which I think is always necessary. 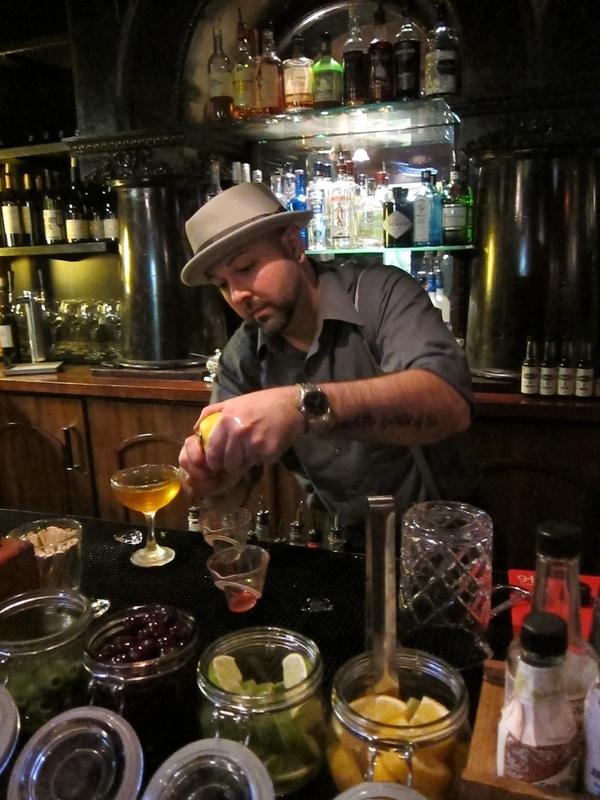 If you missed March’s meeting, please go see Travis and if you ask nicely enough, I think he’d probably make you one of the drinks he made for us that evening. And if you get enough smart, cocktail-loving women with you, you can recreate the meeting! Just call me up – I’ll come down. 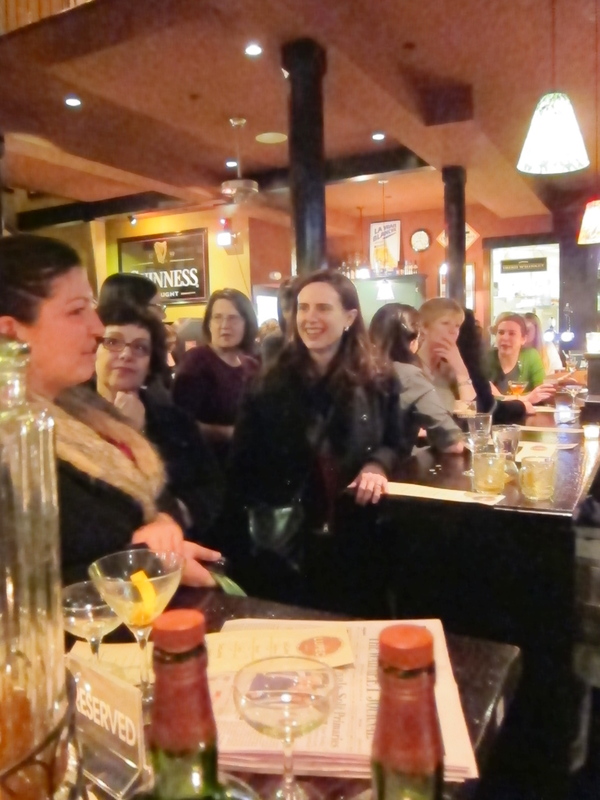 Many thanks to Travis, Brian and Mulleady's for hosting their 2nd LUPEC meet up! 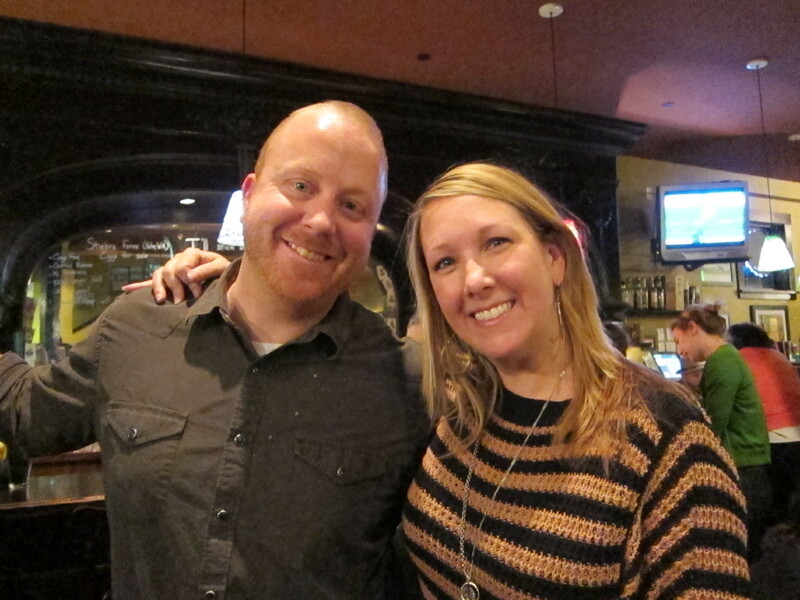 And big thanks to guest blogger and new LUPEC member Noelle Royer, Noelle just recently moved to Seattle and this was her first meeting! You can check out Noelle's blog, which has lots of fun stuff about travel, eating, diving and other fun stuff at Events By Noelle.